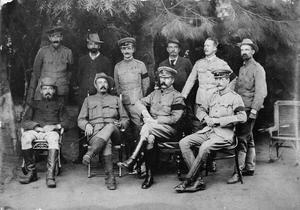 Group photograph of the participants in the peace conference at Middelburg, Transvaal, during the Second Anglo-Boer War. 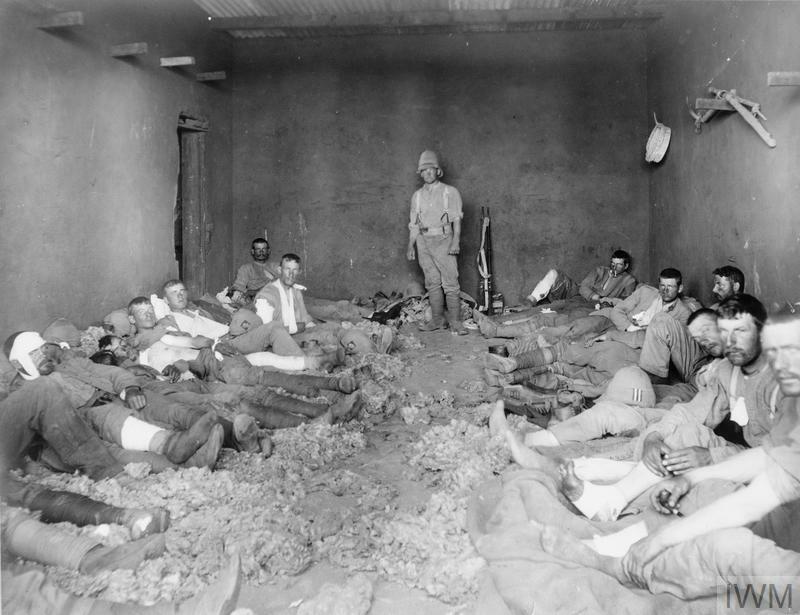 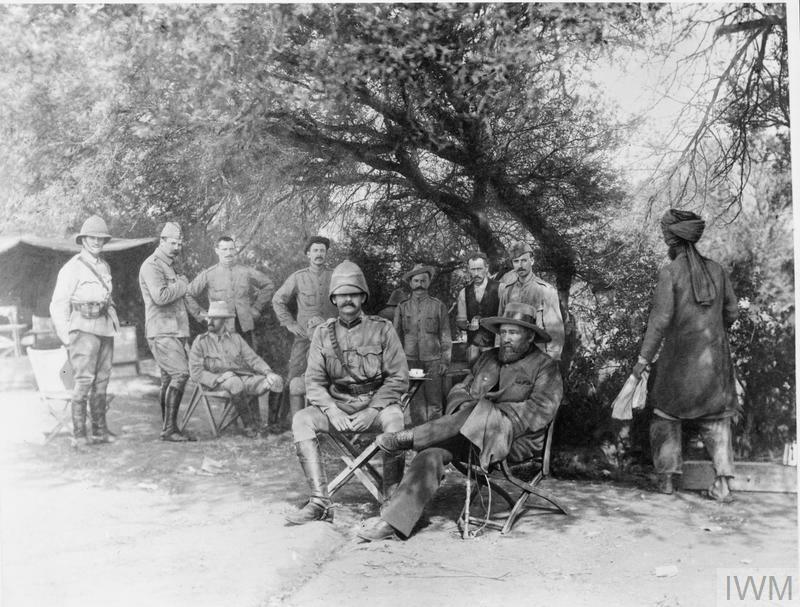 Sitting (left to right); General Christiaan de Wet, General Louis Botha, General Lord Kitchener, Colonel Ian Hamilton: standing (left to right); Colonel Henderson, van Velden, Major Watson, H Fraser, Captain Maxwell, H de Jager. 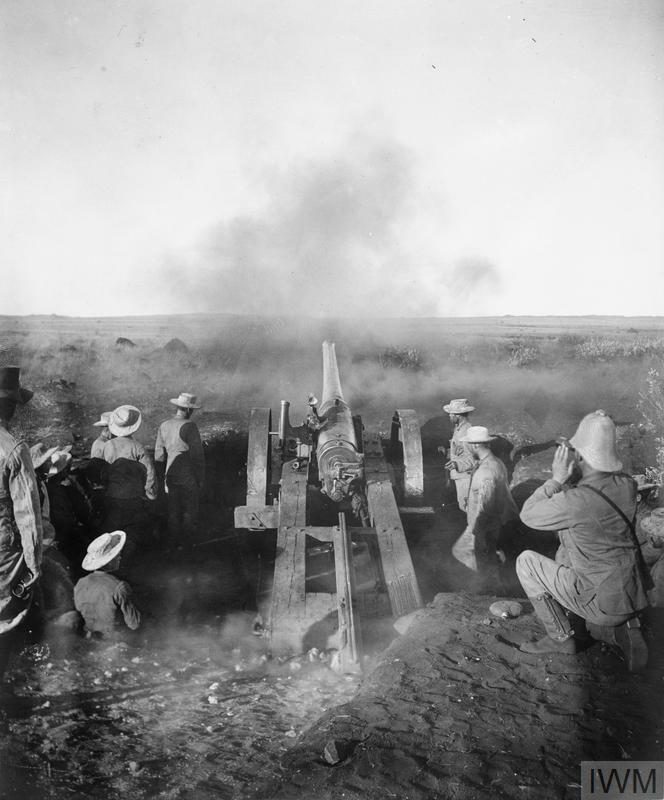 Note the British officers are wearing black armbands, as this photo was taken a few weeks after the death of Queen Victoria.